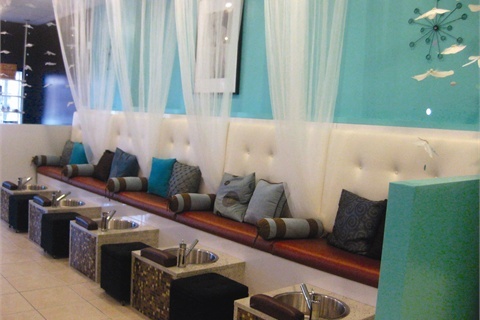 Salon design or decor encompasses everything from furnishings, architecture, accessorizing and other creative space planning that give your salon its own personality and look. It’s an open secret that many salons owe their interior design to their neighborhood IKEA store. The home furnishings giant — known for its affordable prices, streamlined modern design esthetic, do-it-yourself assembly, and store layouts that mimic individual room layouts — is the perfect design playground for the money-wise entrepreneur.